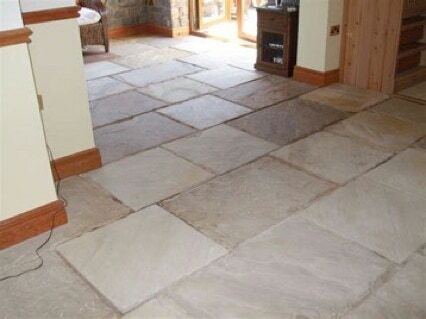 ﻿The ﻿flooring ﻿experts ﻿at ﻿ ﻿everything ﻿FLOORING ﻿know ﻿flooring. ﻿It’s ﻿what ﻿we ﻿do. ﻿And, ﻿we ﻿know ﻿where ﻿we ﻿can ﻿get ﻿the ﻿best ﻿products ﻿at ﻿the ﻿lowest ﻿prices ﻿that ﻿meets ﻿your ﻿budget. ﻿Come ﻿in ﻿and ﻿visit ﻿us ﻿today. 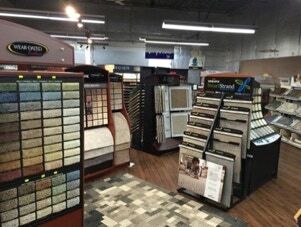 ﻿everything ﻿FLOORING ﻿offers ﻿a ﻿selection ﻿of ﻿carpet, ﻿hardwood, ﻿laminate, ﻿tile ﻿and ﻿vinyl ﻿flooring ﻿that ﻿compliments ﻿your ﻿home. ﻿Shop ﻿everything ﻿FLOORING ﻿today ﻿to ﻿find ﻿the ﻿product ﻿that ﻿provides ﻿comfort ﻿for ﻿every ﻿member ﻿of ﻿your ﻿family. 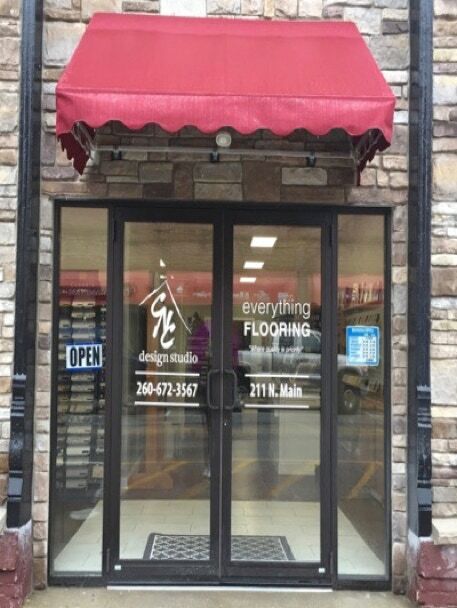 ﻿everything ﻿FLOORING ﻿specializes ﻿in ﻿natural ﻿stone ﻿and ﻿glass, ﻿ceramic ﻿flooring, ﻿hardwood ﻿flooring ﻿laminate ﻿flooring, ﻿carpet, ﻿vinyl ﻿flooring, ﻿custom ﻿showers, ﻿fireplaces ﻿and ﻿kitchen ﻿backsplashes. ﻿We ﻿work ﻿with ﻿the ﻿best ﻿and ﻿exclusive ﻿brands. 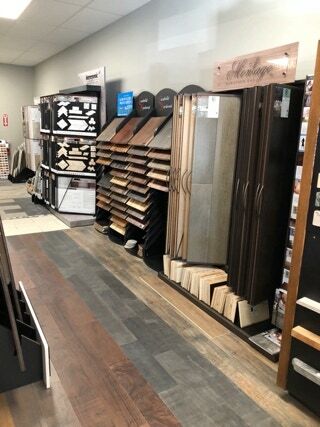 ﻿everything ﻿FLOORING ﻿strives ﻿to ﻿provide ﻿dedication ﻿to ﻿customers ﻿which ﻿drives ﻿our ﻿innovations; to ﻿build ﻿relationships ﻿with ﻿all ﻿of ﻿our ﻿clients ﻿to ﻿design ﻿and ﻿install ﻿to ﻿best ﻿fit ﻿their ﻿project&apos;s ﻿budget; and ﻿our ﻿job ﻿is ﻿to ﻿take ﻿the ﻿guess ﻿work ﻿out ﻿of ﻿the ﻿quality, ﻿durability ﻿and ﻿cleanliness ﻿of ﻿each ﻿specific ﻿project. Contact us for a FREE ESTIMATE! After hours appointments are available! CLICK HERE to complete our contact form to schedule your appointment! Or call Paul at (260) 223-5581. 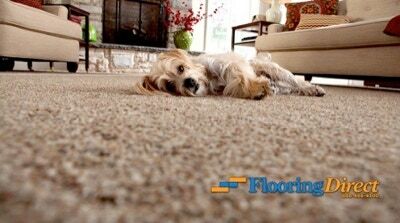 ﻿Carpet ﻿holds ﻿heat, ﻿so ﻿if ﻿your ﻿space ﻿is ﻿chilly, ﻿this ﻿could ﻿be ﻿the ﻿way ﻿to ﻿go. ﻿Carpet ﻿promotes ﻿safety! ﻿Avoid ﻿slips ﻿and ﻿falls ﻿with ﻿a ﻿carpeted ﻿room. ﻿Carpet ﻿reduces ﻿noise! 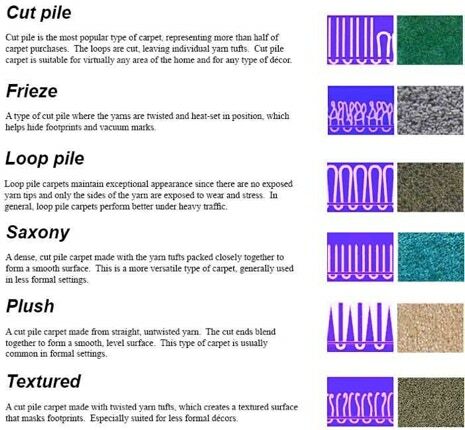 ﻿In ﻿spaces ﻿that ﻿are ﻿large, ﻿carpeting ﻿can ﻿provide ﻿acrostics ﻿to ﻿reduce ﻿noise. 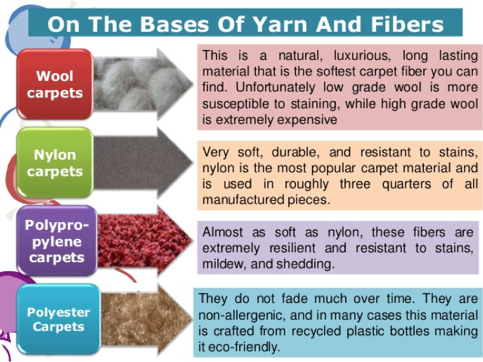 ﻿Carpet ﻿adds ﻿a ﻿sense ﻿of ﻿elegance ﻿to ﻿your ﻿home. ﻿There ﻿are ﻿so ﻿many ﻿different ﻿colors, ﻿styles ﻿and ﻿patterns ﻿to ﻿choose ﻿from. 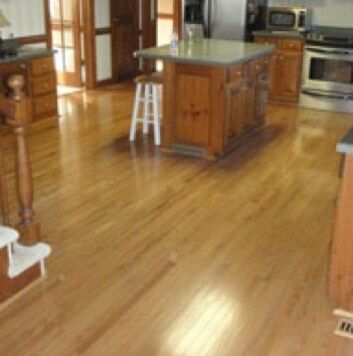 ﻿Wood ﻿floors ﻿add ﻿value ﻿to ﻿your ﻿residence ﻿at ﻿resale ﻿time, ﻿not ﻿to ﻿mention ﻿it ﻿is ﻿a ﻿lifetime ﻿product. ﻿Wood ﻿floors ﻿are ﻿easy ﻿to ﻿maintain, ﻿thus ﻿a ﻿little ﻿more ﻿than ﻿simple ﻿sweeping ﻿and ﻿vacuuming, ﻿always ﻿making ﻿sure ﻿your ﻿hardwood ﻿floors ﻿are ﻿protected ﻿from ﻿moisture ﻿and ﻿heavy ﻿wear ﻿which ﻿creates ﻿scratches. ﻿Unlike ﻿most ﻿floor ﻿coverings, ﻿wood ﻿floors ﻿come ﻿from ﻿a ﻿natural ﻿resource ﻿that ﻿is ﻿sustainable, ﻿which ﻿is ﻿environmentally ﻿friendly. ﻿Hardwood ﻿floors ﻿come ﻿in ﻿many ﻿sizes, ﻿styles, ﻿colors, ﻿and ﻿species. 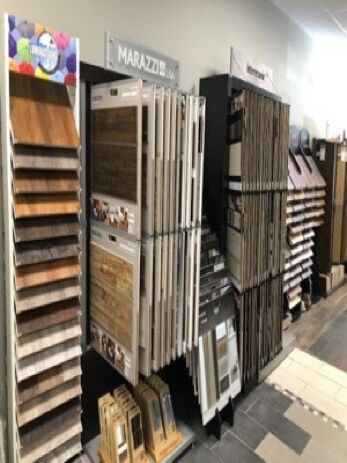 ﻿Many ﻿of ﻿today’s ﻿vinyl ﻿flooring ﻿options ﻿have ﻿multiple ﻿layers: ﻿wear ﻿layer, ﻿protective ﻿clear ﻿layer, ﻿print ﻿layer, ﻿cushion ﻿layer, ﻿ and ﻿the ﻿physical ﻿vinyl ﻿backing ﻿layer. ﻿Vinyl ﻿often ﻿uses ﻿recycles ﻿materials. Vinyl ﻿is ﻿a ﻿favorable ﻿option ﻿for ﻿anyone ﻿who ﻿is ﻿concerned ﻿with ﻿choosing ﻿a ﻿high ﻿quality ﻿green ﻿flooring ﻿option ﻿while ﻿remaining ﻿within ﻿budget. ﻿Vinyl ﻿sheets ﻿is ﻿the ﻿top ﻿choice ﻿for ﻿large ﻿areas ﻿. ﻿They ﻿are ﻿available ﻿in ﻿widths ﻿6 ﻿ft+ ﻿with ﻿customized length ﻿to ﻿fit ﻿your ﻿room. ﻿They are ﻿also ﻿the ﻿cheapest ﻿vinyl ﻿option ﻿per ﻿square ﻿foot. ﻿Vinyl ﻿tiles ﻿installation ﻿options ﻿include ﻿glue ﻿down, ﻿self-adhesive, ﻿and ﻿floating. ﻿The ﻿traditional ﻿glue ﻿down ﻿method ﻿is ﻿more ﻿permanent ﻿and ﻿advanced. ﻿ For ﻿easy ﻿installations, ﻿some ﻿companies offer peel ﻿and ﻿stick ﻿vinyl ﻿tiles making ﻿installation ﻿a ﻿breeze. ﻿ Also ﻿super easy, ﻿the ﻿“floating ﻿floor ﻿system” uses ﻿tiles ﻿designed ﻿to ﻿interlock ﻿or ﻿click ﻿together. 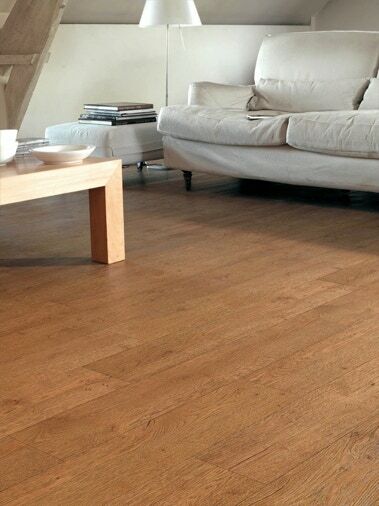 ﻿Vinyl ﻿planks ﻿is ﻿the ﻿most ﻿expensive ﻿looking ﻿of ﻿the ﻿vinyl ﻿flooring ﻿options. ﻿They ﻿offer ﻿a beautiful ﻿hardwood ﻿appearance ﻿and ﻿layout, ﻿without ﻿the ﻿hefty ﻿price ﻿tag ﻿of ﻿real ﻿hardwood. ﻿Very ﻿similar ﻿to ﻿tiles, ﻿planks ﻿are ﻿also ﻿easy ﻿to ﻿install ﻿with ﻿options ﻿of ﻿glue ﻿down, ﻿peel ﻿and ﻿stick, ﻿or ﻿floating. ﻿Planks ﻿come ﻿in ﻿many ﻿size ﻿options, ﻿with ﻿varying ﻿widths ﻿and ﻿lengths ﻿available ﻿on ﻿the ﻿marke ﻿is ﻿the ﻿latest advancement ﻿in ﻿luxury ﻿vinyl ﻿flooring. ﻿Much ﻿more ﻿durable ﻿and ﻿resilient ﻿than ﻿all ﻿other ﻿vinyl ﻿flooring ﻿options, ﻿It ﻿utilizes ﻿features ﻿and ﻿technologies ﻿above ﻿and ﻿beyond typical ﻿vinyl ﻿flooring. This ﻿vinyl ﻿includes a ﻿waterproof ﻿inner ﻿core, ﻿added ﻿cork ﻿underlayment ﻿to ﻿dampen ﻿sound ﻿and ﻿temperature ﻿transmission, ﻿and, ﻿often, ﻿a ﻿lifetime ﻿warranty. ﻿Ceramic ﻿tile ﻿is ﻿one ﻿of ﻿the ﻿top ﻿choices ﻿for ﻿the ﻿bathroom ﻿floor. ﻿It&apos;s ﻿impervious ﻿to ﻿moisture, ﻿stands ﻿up ﻿to ﻿stains ﻿and ﻿won&apos;t ﻿absorb ﻿bacteria ﻿or ﻿odors. ﻿It&apos;s ﻿a ﻿great ﻿choice ﻿for ﻿a ﻿bathroom ﻿that ﻿gets ﻿a ﻿lot ﻿of ﻿traffic. ﻿Ceramic ﻿tile ﻿comes ﻿in ﻿a ﻿wide ﻿range ﻿of ﻿colors ﻿and ﻿designs ﻿for ﻿a ﻿sleek, ﻿luxurious ﻿look. ﻿Tile ﻿sizes ﻿range ﻿from ﻿tiny ﻿mosaic ﻿to ﻿large ﻿format ﻿and ﻿come ﻿in ﻿just ﻿about ﻿any ﻿shape ﻿imaginable. ﻿Choose ﻿from ﻿almost ﻿any ﻿installation ﻿pattern, ﻿and ﻿incorporate ﻿trim ﻿pieces, ﻿borders, ﻿and ﻿inlays ﻿to ﻿accentuate ﻿decorative ﻿elements. ﻿Mix ﻿and ﻿match ﻿colors ﻿and ﻿sizes ﻿for ﻿visual ﻿interest, ﻿or ﻿repeat ﻿the ﻿same ﻿styles ﻿on ﻿walls, ﻿countertop, ﻿or ﻿shower ﻿for ﻿a ﻿cohesive ﻿look.